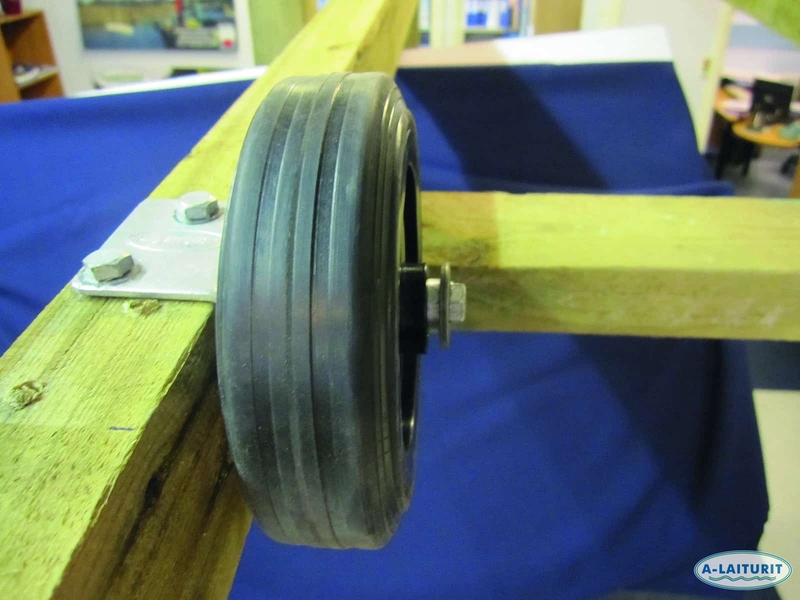 The solid rubber wheel is intended as an additional wheel for the boatlift or as a spare part for the independent builder. Fastening the wheels to the lift is easy, practical, and does not necessitate bolting through the lift, instead the axis-structure is installed with deck screws in a freely selected position in the wooden construction. Bearing weight is approx. 200kg. Package includes connecting parts.